Parapractice Brooklyn invites students and professionals to attend two weekend workshops exploring the exciting world of Digital Design + Fabrication. 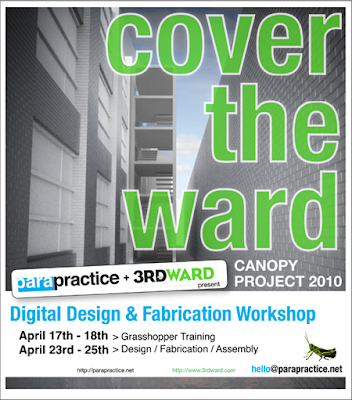 The workshop will introduce participants to parametric design strategies and conclude with the fabrication and installation of a new canopy over the 3rd Ward courtyard. The focus of the workshop will be an in depth look at Grasshopper and its real world implications.